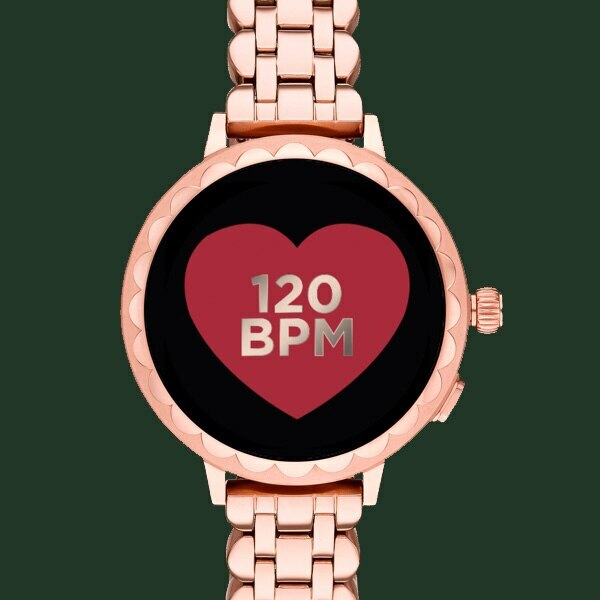 a new sensor keeps the beat for you all day long. just tap the spade at 12 o'clock to see how hard you're working (or, you know, relaxing). leave your wallet in your bag - with Google™ Pay, you can get your morning coffee (or afternoon cookie) in seconds. 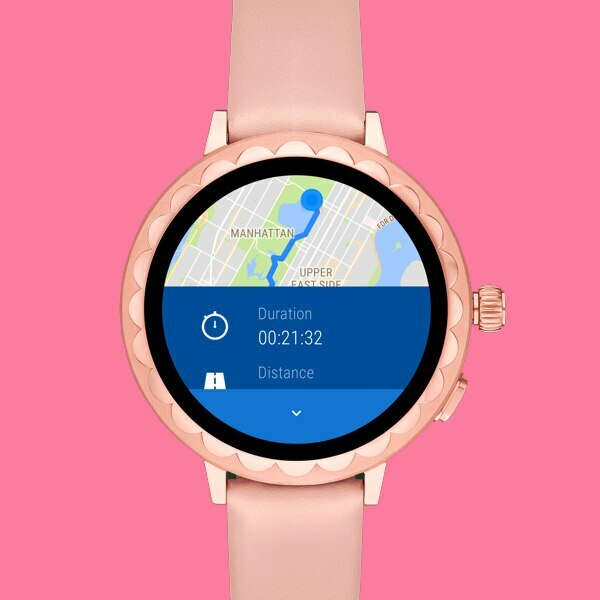 track your runs, walks and rides. GPS records every step you take, even if you don't bring your phone. you can ask Google Assistant™ for pretty much anything, from the weather forecast to the precise location of the nearest fro-yo spot. change the face as often as you change your clothes— even more often, if you like. meanwhile, the rest of the design, including the scalloped bezel the smartwatch is named for, stays timeless. 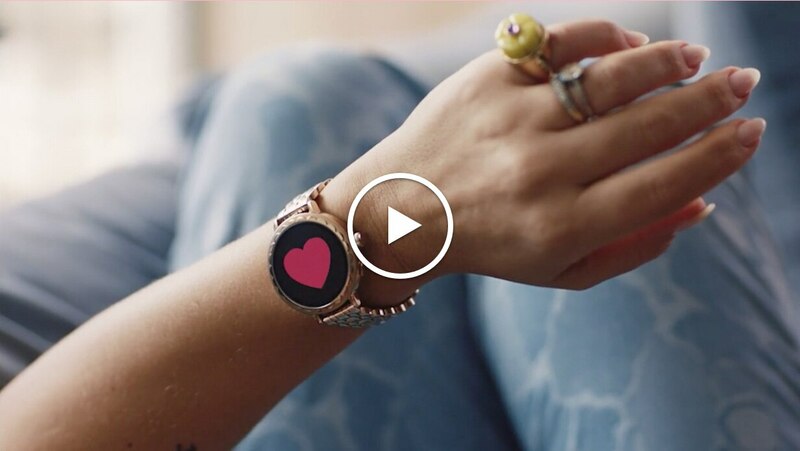 Smartwatches powered with Wear OS by Google are compatible with iPhone® and Android™ phones. 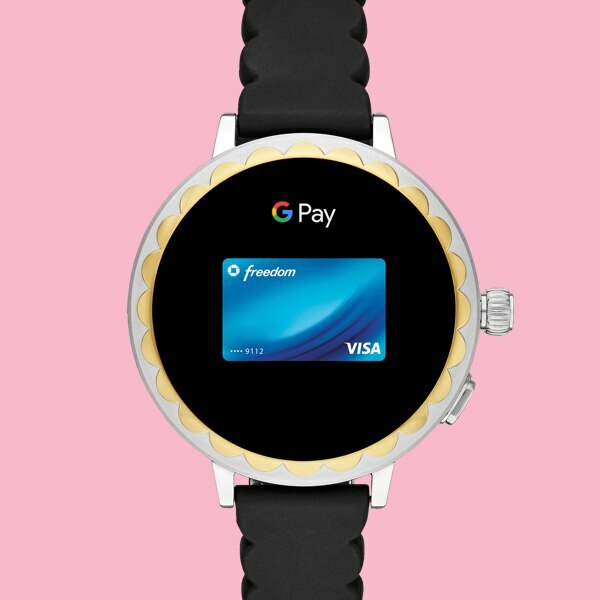 Google, Google Pay, Wear OS by Google, Google Fit, and other related marks are trademarks of Google LLC. Touchscreen smartwatches powered with Wear OS by Google require a phone running Android OS 4.4+ (excluding Go edition) or iOS 9.3+. Supported features may vary between platforms and country.